Eve saved over $10,400 in commission and got a $5,150 cash rebate on her purchase! "Thank you for saving me all that money! You guys were great and you stood by your word. I am very happy with the full service that you gave me. My complex had several condos listed for sale and my property went into escrow in just two weeks and the entire escrow completed without any problems at all. Best of all Adam helped me find the home I wanted in Feather Ridge and he helped me obtain financing. 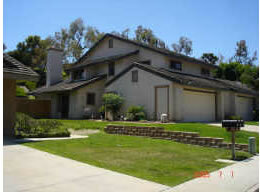 I was able to close escrow on the home I purchased on the same day as my home sale! I could not be happier with G & R Realty."